A man in his 20s is still in hospital after being assaulted by ‘unknown offenders’ five days ago. 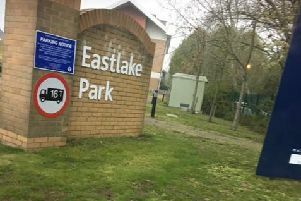 Just after 9.35pm, the victim was walking with friends in Laggan Court, Lakes Estate, when he assaulted by unknown offenders on March 15. The victim sustained ‘significant’ facial and head injuries and was taken to Milton Keynes University Hospital where he currently remains in a stable condition. Detective Sergeant Phil Turner-Robson said: “The victim of this assault has sustained serious injuries and we urgently need to speak to anyone who may have witnessed it. “There is currently no known description of the offenders, but if anyone saw or heard anything which may be of significance, please come forward so we can identify those responsible. If anyone witnessed the offence or has any information that could assist with the investigation, please call the 24-hour Thames Valley Police enquiry centre on 101, quoting incident number 43170076801.